Description: Rupa (Zeenat Aman) grew up being cursed as "unlucky" in the village she was born in. Her mother died during childbirth. Then a kitchen accident leaves half her face disfigured. This is an artistic exploration of beauty and disfigurement, society's values and more importantly how a girl, teenager and a bride was treated during the times. Rajeev (Shashi Kapoor) the stereotype male engineer falls in love with the Rupa who has a divine singing voice, and the unscarred left cheek. When he sees the scarred cheek, after marriage, he heads off into a tizzy and continues nightly dalliance with his mistress - the beautiful cheek. Little does he realize that his wife and mistress are two faces of the same person.Rupa (Zeenat Aman) grew up being cursed as "unlucky" in the village she was born in. Her mother died during childbirth. Then a kitchen accident leaves half her face disfigured. This is an artistic exploration of beauty and disfigurement, society's values and more importantly how a girl, teenager and a bride was treated during the times. 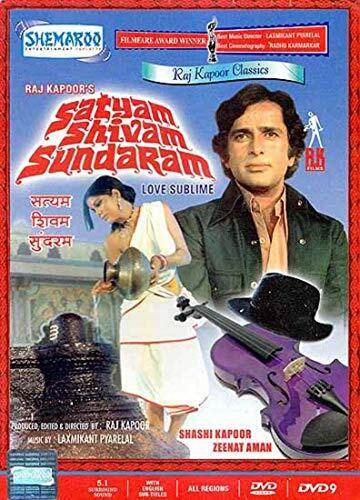 Rajeev (Shashi Kapoor) the stereotype male engineer falls in love with the Rupa who has a divine singing voice, and the unscarred left cheek. When he sees the scarred cheek, after marriage, he heads off into a tizzy and continues nightly dalliance with his mistress - the beautiful cheek. Little does he realize that his wife and mistress are two faces of the same person.